Big Chef online slots feature an upscale French restaurant complete with top chefs, a dapper waiter and some mouth-wateringly good dishes. Powered by Microgaming; Big Chef serves up a delicious multi-feature 5 x 3 reel, 15 paylines video slot. This colourful and quirky slot is full of exciting features that deliver big wins and generous payouts. The game revolves around typical activities one would find in a fancy restaurant with reels spinning inside a giant menu, all under the watchful eye of the man in the big white hat. Big Chef online slots is a 5×3 reels and 15 payline slot game with bright and colourful graphics and slightly comical graphics. French music welcomes us into the restaurant and the reels depict the restaurant scene. Symbols include the kitchen staff including the chefs, a kitchen hand and a waiter as well as a whole array of meals including crab, steak and chicken dishes. Big Chef has you covered with an exciting base game, a wild , two scatters and the exciting new rising wild bonus feature. You can play Big Chef online slots at the leading Canadian online casinos. Big Chef online slots features not one, but two scatter symbols. The fist of the scatter symbols is the menu symbol. 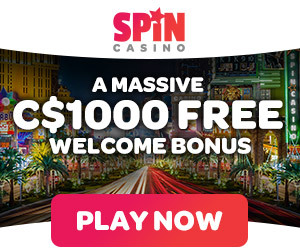 When three or more of the menu symbols appear scattered anywhere over the reels, you will find ten free spins that come complete with a 2x multiplier. Microgaming always promise plenty of fair and reasonable chances at winning, and for those players opting to play this game in real money mode, a potential life-changing 75,000 jackpot win awaits them. All coin value settings are adjustable making this a very affordable and awarding slot to play. Wagers range from 0.01, 0.02 and 0.05. A minimum bet is 0.15 coins and a maximum bet is 7.50. The Big Chef logo is the wild symbol and it can be used to help you create winning combinations.